Posted by Jill S. Schneiderman in feminism, gender, geology, history of science, science, women in science. 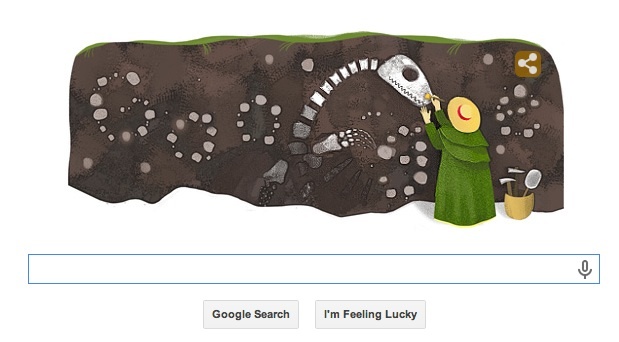 Google doodle celebrates fossil collector and paleontologist’s 215th birthday as reported in The Independent. 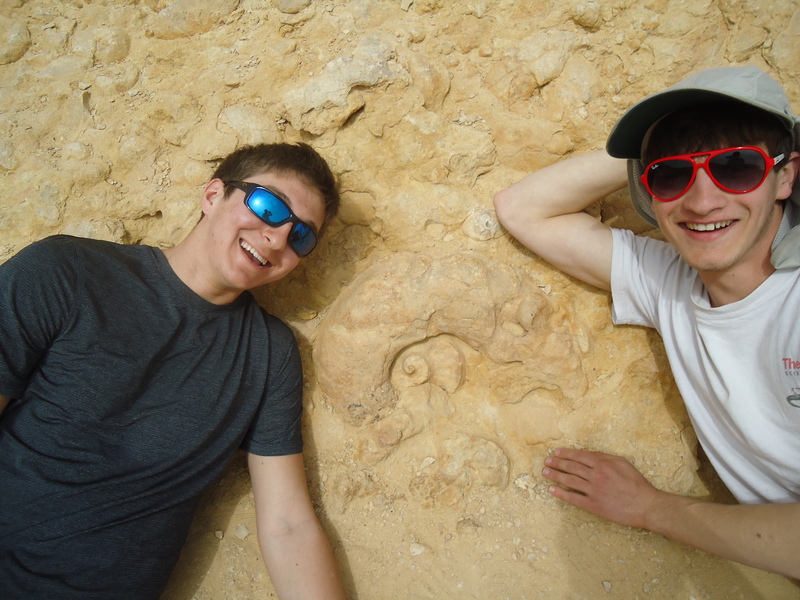 And since Google is celebrating Anning, whom I’ve always associated with ammonites, an extinct group of marine invertebrate animals (phylum: mollusca; class: cephelopoda), I’ve posted below a photograph of two of my students from our March 2014 study trip in which we visited the famous “Ammonite Wall” in the Negev Desert. 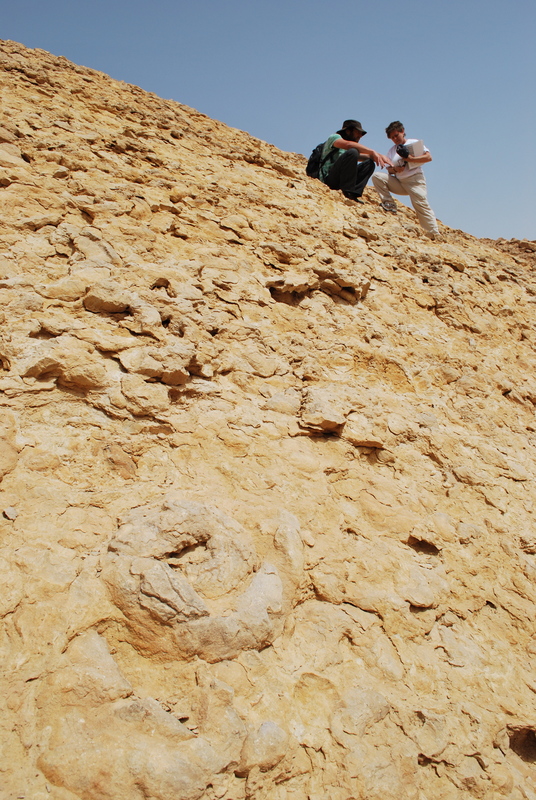 Pliny the Elder referred to these fossils as the “horns of Ammon” because their coiled shape was reminiscent of the ram’s horns worn by the Egyptian god Ammon. The photo below shows the remarkable exposure of a laterally extensive sedimentary layer chock full of ammonite fossils. That’s yours truly standing on the steeply dipping bedding plane. And note the the great piece in The Guardian about Anning and the other lost women of geology. Posted by Jill S. Schneiderman in Mars, science. Here’s a quick letter to the editor (not published as far as I know) regarding the New Yorker’s recent piece on the scientific exploration of Mars. 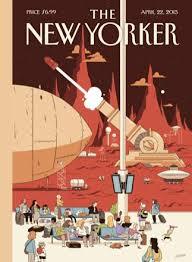 The cover of the New Yorker issue that contained the piece is pictured here. The cover epitomizes the essay. Burkhard Bilger’s piece “The Martian Chroniclers” (April 22, 2013) came just at the right time for me and my Vassar students in STS/WMST 375, “Gender, Race and Science.” We ‘d been reading all semester feminist histories of science in an attempt to track changes in the culture of science and had just arrived at the issue of the so-called “leaky pipeline” that is, why so many women leave science even after they obtain advanced degrees. In communicating the tremendous excitement of discoveries of the Martian rover “Curiosity” since its spectacularly successful landing this past summer–I’m a geoscientist who studies what sediments reveal about planetary history–Bilger also inadvertently conveys much about subtleties in science culture that make it difficult for women to persist over the long-term in scientific research. What would science look like if scientists and those who report on it worked actively to end this hierarchically gendered structure? Posted by Jill S. Schneiderman in art, beach erosion, climate change, global warming, Hurricane Sandy, Orrin Pilkey, science, sea-level rise, slow violence. As a follow-up to my op-ed yesterday, “Science Fiction Science Fact,” I’d like to call to readers’ attention the Op-Ed in today’s New York Times by Orrin Pilkey. Orrin of course hits all the salient points. Blessings to him for never tiring of trying to get people to face the reality of beach erosion. Significantly for me, the illustration that accompanies Orrin’s op-ed directly answers my final imploring question: “Will an artist please render that scientific fact?” [The fact of inevitable beach erosion]. Graphic artist Henning Wagenbreth has done so. His image shows a dark storm cloud exhaling wind above a stormy sea whose waves tickle the feet of a fleeing beach house that carries with it an uprooted tree and automobile. With words and images, Pilkey and Wagebreth bring science and art together to once again try to capture the reality of today and tomorrow. Posted by Jill S. Schneiderman in Anthropocene, climate change, earth system science, Ecozoic, environmentalism, global warming, Hurricane Sandy, hydrologic cycle, science, sea-level rise, Teilhard de Chardin. This piece appears in Shambhala SunSpace. Like many millions of people around the world, I was captivated by President Barack Obama’s election night victory speech. And my heart cheered when I heard the President say, “we want our children to live in an America that…. isn’t threatened by the destructive power of a warming planet.” Maybe the Earth has now, finally, made itself heard on the issue of the disastrous implications of global warming for all beings that live on this planet. I’ve always favored scientist James Lovelock’s Gaia hypothesis that organisms interact with their inorganic surroundings on Earth to form a self-regulating complex system that contributes to maintaining conditions for life on the planet. And I’ve also been a big fan of Vice-President Gore’s book, An Inconvenient Truth, especially because he makes so clear that the Earth actually breathes. “It’s as if the entire Earth takes a big breath in and out once each year,” he wrote in referring to the Keeling Curve, the diagram by scientist Charles David Keeling that shows not only the overall increase in CO2 in the atmosphere starting in the late 1950s based on measurements of atmospheric CO2 at Mauna Loa, Hawaii but also the annual cycle of increase and decrease of CO2 in the atmosphere that results from the growth and decay of vegetation. And now at the risk of committing the sin of anthropomorphism (attributing human motivation to an inanimate subject), I’ll suggest that Earth itself cast a vote in this election. Some pundits say that “Superstorm Sandy” helped the President win the election partly because of his compassionate and competent response to the crisis. I’m no poll, so I don’t know. I hope only that this election marks our movement into a new geologic Era thatJesuit paleontologist Teilhard de Chardin (1881-1955) once proposed: the Ecozoic, a new era of mutually enhancing human-earth relations. You will be like the tree of life. May the re-election of Barack Obama usher in the Ecozoic Era, a period in which we listen attentively to what the Earth tells us and live the understanding that we breathing humans are the breathing Earth. Posted by Jill S. Schneiderman in Anthropocene, art, climate change, disasters, global warming, Hurricane Sandy, science, sea-level rise. So what if global warming isn’t directly responsible for “superstorm Sandy”? Let’s not get hung up on that minor detail. Because the planet has warmed–the average surface temperature of the Earth rose 1.08°F to 1.62°F (0.6 to 0.9 °C) between 1906 and 2006— the cryosphere has melted, moving H2O from the ice caps to the oceans. And seawater has literally expanded. As a result, sea level has risen—worldwide measurements of sea level show a rise of about 0.56 feet ((0.17 meters) during the twentieth century. Earlier this week Hurricane Sandy pushed the sea onto land in coastal regions that are today more “low-lying” than they were a century ago. Images are still coming in of the devastation caused by such mass movement of water along parts of the northeastern coast. Earth behaved as predicted and revealed the increased risk to which we have subjected ourselves. At a time when scientists have been convicted of not making good predictions may I be the first to congratulate Dr. Jianjun Yin, a climate modeler at the Center for Ocean-Atmospheric Prediction Studies (COAPS) at Florida State University, and colleagues Michael Schlesinger of the University of Illinois at Urbana-Champaign and Ronald Stouffer of Geophysical Fluid Dynamics Laboratory at Princeton University? In 2009 these folks published their analysis of data from ten state-of-the-art climate models and warned that, considering its population density and the potential socioeconomic consequences of such changes, the northeast coast of the U.S. is one of the areas most vulnerable to changes in sea level and ocean circulation. Yin’s study, “Model Projections of Rapid Sea-Level Rise on the Northeast Coast of the United States,” produced this artist’s rendering of a flooded Manhattan. But the images below are no artist’s rendering. They are photographs of water inundating the Metropolitan Transportation Authority’s new South Ferry Terminal. The trees and map along the walls are part of a site-specific art installation, See it Split, See it Change (2005-2008) made of fused glass, mosaic marble, and stainless steel by Doug and Mike Starn. The work of these artists has articulated themes of impermanence and transience. Let’s heed the message from both science and art. Can we all just pay attention to the Earth? Posted by Jill S. Schneiderman in Anthropocene, earth community, earth system science, environmentalism, science, slow violence, Thomas Berry. This piece is cross-posted at Truthout.org Though not as closely related as they are to hippos, whales have much in common with elephants. 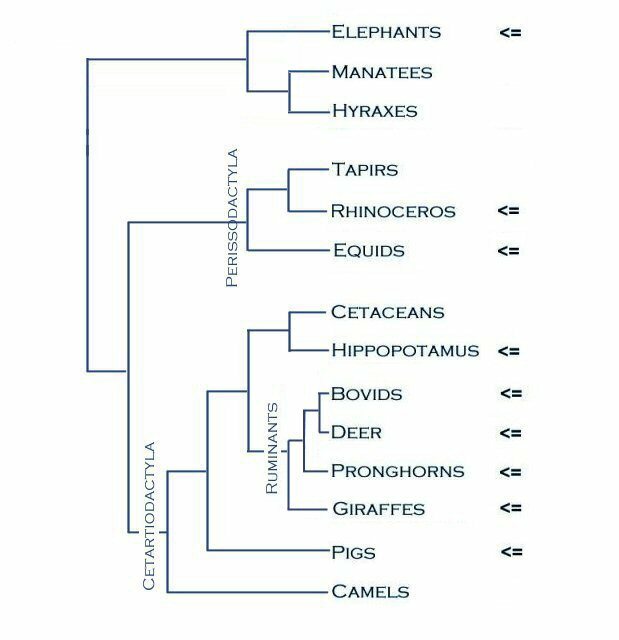 Speaking scientifically, they belong to different taxonomic orders–whales to the taxonomic order Cetacea and elephants to the order Proboscidea, but they come from a common ancestor with hoofs and are therefore distinct from other orders of mammals such as primates or rodents. Of course, they both are large, intelligent, social mammals and they share a precarious existence. Therefore, I was glad to read a New York Times op-ed this morning that condemned the plan of the U.S. Navy to carry out tests and exercises using explosives and sonar devices in the Earth’s major oceans during the five-year period 2014-2019. The Navy estimates that this military activity will negatively affect 33 million marine mammals. Reading this caused my mind to wander back to the stories I read in the Times last month about the widespread slaughter of elephants by members of African militias who remove the ivory tusks and sell them to purchase weapons. Though the butchery of elephants by African militaries is bloodier business than effects such as temporary hearing loss and ruptured eardrums of marine mammals that the U.S. Navy deems “negligible,” I can’t help but think that Earth is in the dire shape it is today because of this type of behavior. In my opinion, human societies must grow a generation of spiritual scientists who, like Katy Payne, respond emotionally to their scientific work and can try to help change the path down which this planet is headed. When it comes to other beings on planet Earth, scientists must do more than articulate their observations of other organisms as if with objectivity. Elephants and whales, along with other marine mammals, are more than “stocks” of resources, as some governments would have us believe. They are living beings with systems of communications and social relations to whom we are connected. Recognition of such connection puts us in touch with the fact that, in Berry’s words, “the universe is a communion of subjects, not a collection of objects.” Can someone please tell the Navy?